Thank you for being a part of what God is doing in the hearts of many Pastors in West Africa! West African Pastors teaching Biblical truths during an Equip2serve session. Seeing this milestone reached is most rewarding! Praise God! When Equip2serve was born five years ago, one of the goals was to see Pastors reach a point where they could use the teaching to encourage growth in their own people. We are seeing that come to a reality now. This last trip to Liberia showed how much these men had grown in their walk with God. They began to take initiative in teaching and conversing with the students. Their conversations were more intentional and pointed. Questions were answered and clear direction was given thru the reading of the Scriptures. Philip Davis, and George Lott are two Liberian Pastors who have taken the VISION of discipleship to heart. They’ve made it their own as they have travelled and reached out to local churches. 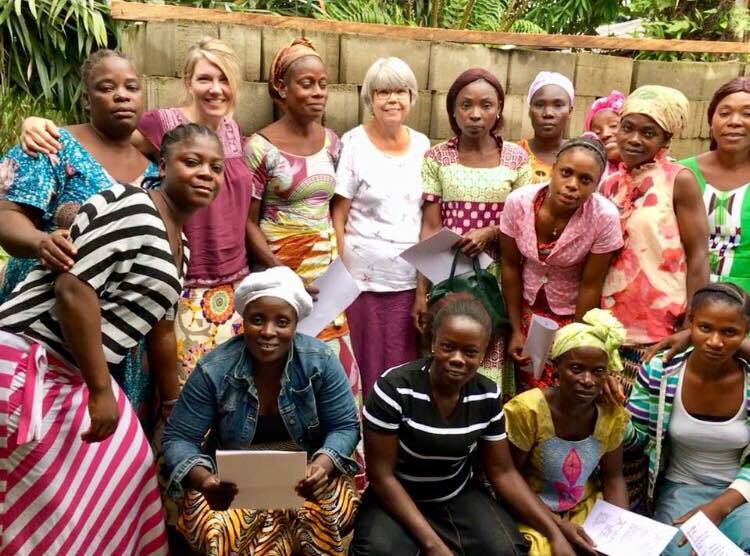 They’ve left their families for weeks to participate in teaching Bible courses all over Liberia. With lack of teaching and means to attend Bible School, many Pastors have a very weak and wrong view of the Bible. They spend their time listening to other preachers to get a “word” that they can share with their congregations…even if its not true. Many of them don’t even own a study Bible or Bible helps. That’s why its so important to train and teach Biblical truths to these Pastors. Pastor Daniel and Pastor David James have also jumped in to help with the Bible teaching. It’s been good to share the load with these men. They’ve also been a huge help with understanding the local culture. They are quick to pick up where the class is struggling to understand. 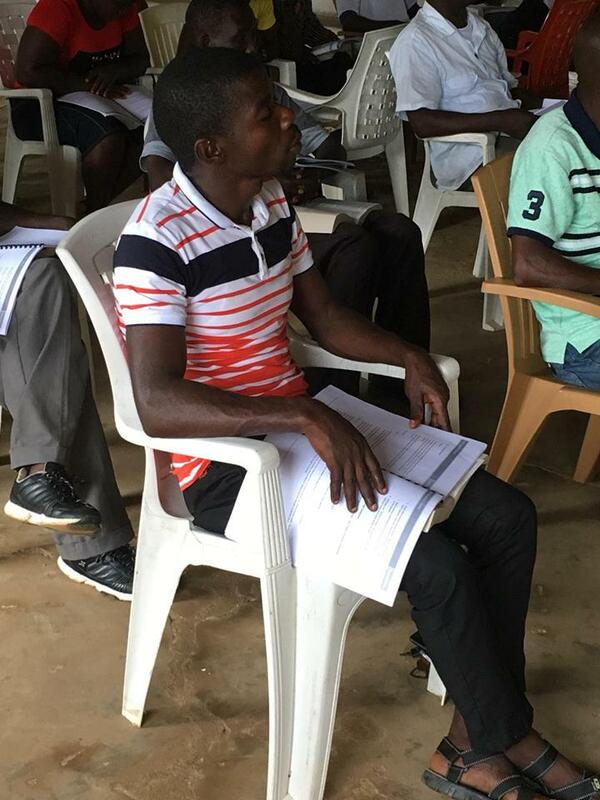 Will you continue to pray that God will provide the resources to continue training West African Pastors? Will you pray for the students that God will continue to work in their hearts and show them truth? Will you pray for the Pastors who are faithfully teaching God’s Word? That the country will remain open to Biblical teaching? And lastly, will you pray that God will bring people to HIM? Until every tribe, every tongue and every people will hear the Good news of Jesus Christ! This video was taken in Liberia near the town of River Cess. It took our Equip2serve team 6.5 hours to reach their destination. It was not a long trek but the road was really terrible! We are thankful that the drivers are good and very patient with the conditions! They got our team from one point to the other! Rainy season has been in full swing and has made this road almost impassible. 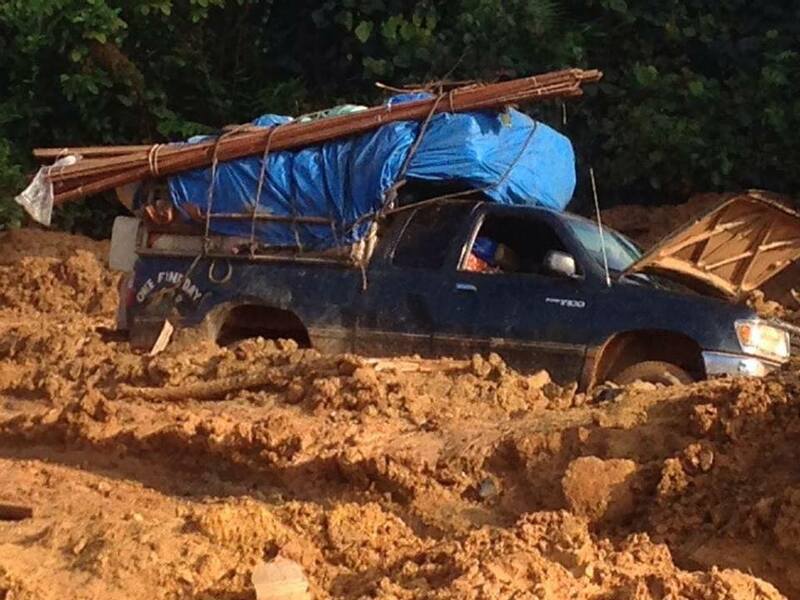 The Liberians work together to get the vehicles out of the mud. They use ropes, shovels, & other vehicles to accomplish this. A lot of the road has vehicles stuck for weeks! 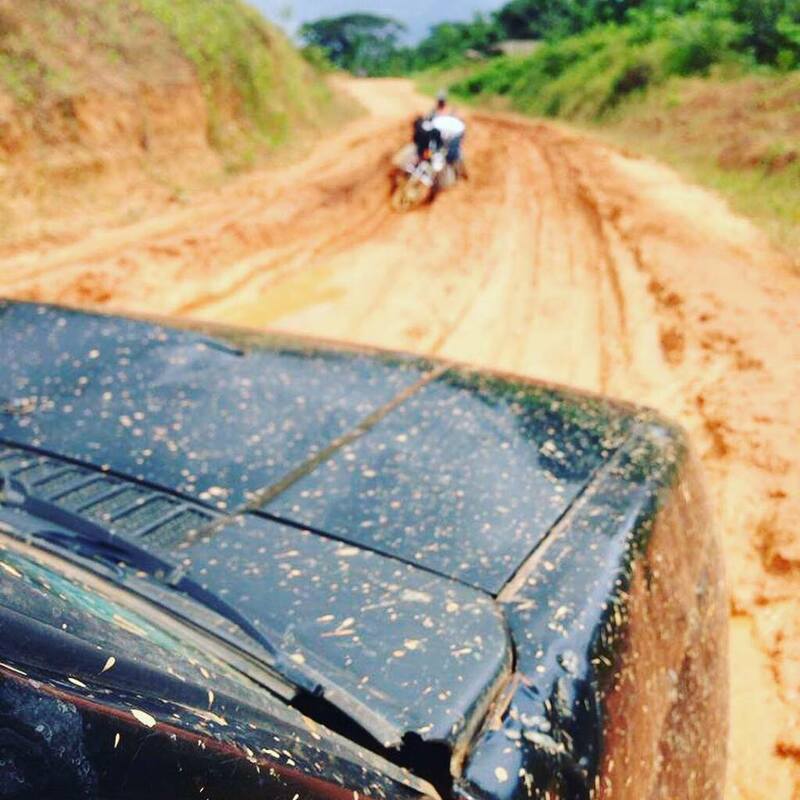 Some of the road has “side roads”, any way that they can make a route around the mud. This vehicle has a sticker on the side that says “One Fine Day” Now that's a positive word! Many times the passengers will jump off the vehicle to run ahead and asses the road and how best to drive through the mud. It helps to carry a machete to cut branches down or to clear trees that have fallen. 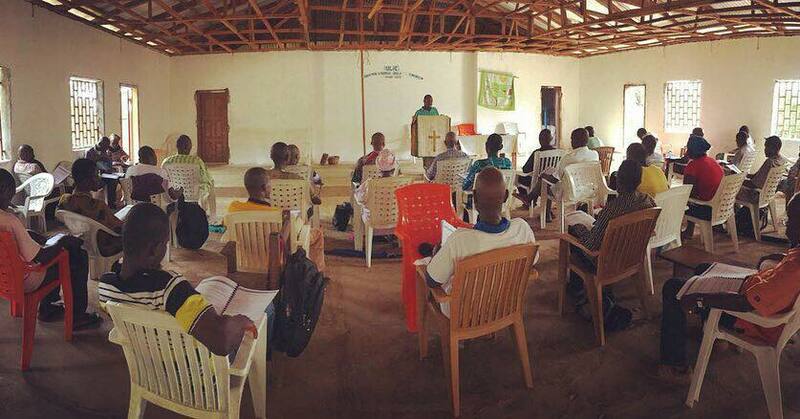 It took a lot of effort for our team to get to their rural location to teach the 30+ Pastors. Typically most taxi’s take a lot of cargo! This is a very common site along the roads. Sometimes people or animals can ride on top as well. It’s easy to think that once a team flies over to their destination that the hardest part of the journey is over. But as you can see from these photos, it takes a lot more! Hard places to get to yet rewarding results! God’s Word, His TRUTH is being preached! And Pastors are being equipped to GO out into their communities! The wailing coming from the village was very loud and unbearable to my young ears. I really didn't understand everything about death, nonetheless, African death wail. I could hear their bare feet pounding down on the red dirt road. Running to the death house to give their condolences. Loud wails, gut wrenching wails. I didn't want to go there but I knew I had to. Sarah was my friend, and she had died in childbirth. The family was fighting over where to bury her and the baby. I couldn't stand the yelling, the ugly death smell, and the chaos. Why? Why must they fight? I didn't understand. It was hot and humid. Our thermometer read 105F in the shade. Surely the heat would make them stop arguing. Maybe it would be so hot that they would just quit this wailing and commence the burial for our dear Sarah. We just had her at our house. She did our laundry three times a week. She loved clean clothes. She'd pound and scrub those clothes on the wash board. I don't know how she did it. But those clothes ran clear of the red Liberian dirt. Every single time. Sarah had an amazing smile. Her eyes were so kind and she could really laugh loud. She loved her job and her life and her family. Now she was gone. I cried. I had never experienced death before. Death in West Africa. Death without Christ. A Christ-less eternity. Sarah had heard the good news of Jesus Christ. But to my knowledge she never accepted the free gift of salvation. Oh how I wish she would've listened and accepted. That's the ugly truth about Death. It's so final. It comes so suddenly. And it is inevitable. But it doesn't have to be the end. I wanted to talk to her again. To let her know that her life mattered and that God was the WAY, the TRUTH, and the LIFE! I made my way over to the death hut. I was greeted by Sarah's relatives. They clung to me wailing and crying long hard sobs. Holding my hand they lead me into the dark, little room where they had carefully laid Sarah. My eyes adjusted to being inside and I looked down to see Sarah in the makeshift coffin. Her body was decomposing in the heat. She had been laying there in that room in that box for 2 days while her family fought over the location of burial. Her skin was splitting in the heat, her beautiful skin no longer shiny and clear. Her hands were folded on her colorful wrap skirt. Her legs were spread open leaving room for her beautiful newborn baby lying still and lifeless. My eyes filled up with tears and I could feel a huge sob in my throat. I had to be brave for the family but I couldn't. As the tears rolled down my cheeks and my hands trembled with the awful truth of death, her sister hugged me and said, "I'm sorry, Sarah loved you." I loved her too I said. I felt like that's all I could say at the moment. I stepped outside to catch my breath. "God, this hurts so much" I prayed for strength. The African sun was beginning to go down. I must've waited to long to bring my condolences we were losing daylight. I wondered what was going to happen. Would they bury Sarah or would they continue to fight? I couldn't bear the thought of prolonged wailing. Suddenly, the ladies came to me and with hushed tones told me that they had decided to bury Sarah quickly before the sun set. I looked over to the fields to see men digging the grave. I watched the red dirt pile up on the sides of the hole. I think I must've been in a daze because all of a sudden we were walking down to the grave site and I was being pushed along the jungle path. I heard singing. Is that us? Are we singing now? Why? I wasn't sure what was happening but the words to "When we all get to Heaven" was in the air. I remember thinking, "Why are we singing this song?" It's beautiful but it doesn't fit. Sarah isn't in Heaven. Their voices rose strong and clear. My tears fell quickly down my face as the brutal honest truth hit my heart. Unless someone comes here to tell these people about the Good news they will continue to sing these hymns without hope. Somebody has to tell them! And I believe it was at that moment that God used the death of my friend Sarah to reveal to my young heart that people need the truth of the gospel. And would I be willing to be HIS ambassador? As the sun was setting and the hymn was being sung, Sarah's coffin was lowered into the ground. The dirt was thrown quickly over the coffin. Family gathered and said their last words to her and each other. And just like that, it was all over. The darkness crept in and the words of the hymn hung in the air. I knew that I had that promise. That hope in Christ alone. I really wanted to let others know too. You see, death is ugly. But in Christ we can know that there's more to death, there's life in Christ. Eternal life. Note to readers: This is a true story that took place in Liberia in 1986. I was 16 years old. I was impacted by the death of my African friend, Sarah. And I never go a day without thinking of the many others who have yet to hear of the wonderful news of Jesus Christ. When we all get to Heaven...Let's continue to tell others of this powerful news... that changes the ugly truth about death! 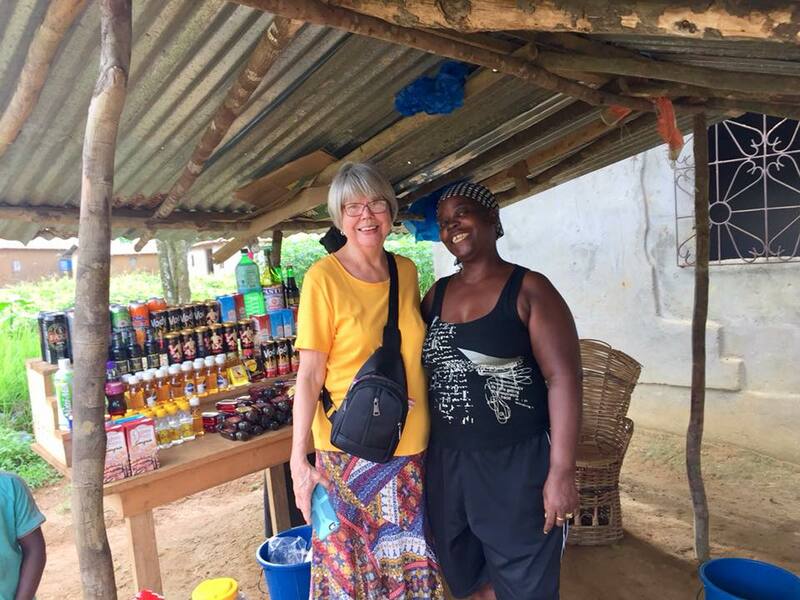 As the day rapidly approached to leave for our Women's Ministry 2018 trip to Liberia, I felt tired, ill-prepared, and quite honestly uninspired. Sounds super spiritual, right? But I was going anyway because, at the end of the day, I knew this was exactly what God had called me to and exactly where I was supposed to be. Yes! Lives changed by the Word of God! Well now, there's some inspiration! And as we spent time with the ladies, that's exactly what we saw happening in their lives. And a few more... "If we really understand what all Christ has done for us, why would we want to keep on sinning?" "I am in Christ and nothing can change that. I know now that I have eternal life because I am believing in what Christ did for me. We sang a song most every day called, "Complete in Him" one of the lines in the song says, "There's nothing more that I can do for Jesus paid it all." The ladies rejoiced greatly in this TRUTH! As our time in Liberia wrapped up and we headed home, I found myself thanking God over and over that He is willing to use weak vessels like me to accomplish His kingdom work. Being a part of what He is doing around the world is a great adventure! I don't want to miss out! So, as God gives me opportunity, I will continue to go; and as a team, our prayer will continue to be that these ladies who are wives, mothers, and grandmothers within their own homes and sister, neighbours and friends within their communities will continue to apply and live out the truth they have heard. Impacting the people around them with the glorious TRUTH of the gospel of Jesus Christ.